Autumn might be drawing closer, but there’s still plenty of time to take a summer break. In fact, this can be a great time of year to pick up a late holiday deal for a sunsoaked destination in Europe. Let’s take a look at where you could be heading for a last-minute sunshine break. If you fancy a sizzling city getaway, there are some great prices going at the moment for holidays in Barcelona. 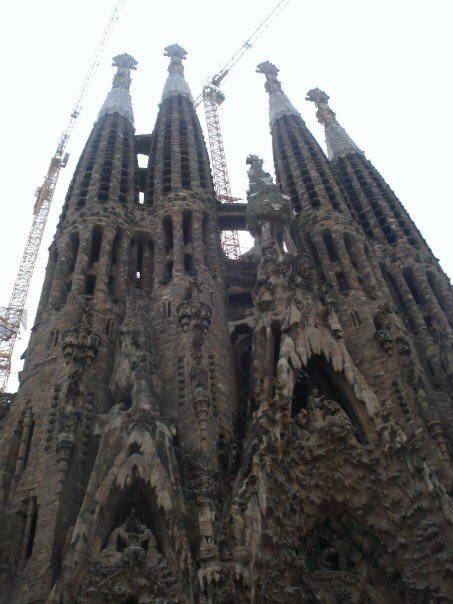 The Catalan capital is brimming with culture and class, as well as top attractions such as the Sagrada Familia designed by Gaudi and the Camp Nou, where Lionel Messi and the rest of Barcelona’s stars play their football. Although not quite as cheap, there are some decent deals going for trips to top Italian cities such as Rome and Venice, where you can enjoy a heady mix of great food, top art and amazing architecture. However, if you live in a city like London, you might to prefer to go somewhere a little bit less built up and congested than say, Barcelona or Rome, so why not take a look at some of the holiday deals on offer for the Mediterranean islands? The Greek islands are renowned for their picturesque whitewashed fishing towns and ancient ruins, while the Spanish islands have some stunning beaches where you can relax and recuperate. These types of getaway are also equally suited to those who like to dance the night away on their vacations, with many of the larger islands’ principal towns boasting world-class clubs and bars – the Greek resorts of Zante and Rhodes being two great examples. During the day, you can also live it up at many of the main beaches by engaging in a range of adrenalin-pumping watersports, such as banana boat riding, jet skiing and parasailing. The Costa del Sol and the Algarve are two of mainland Europe’s premier beach destinations and with the sort of prices for which you can pick up a holiday it’s not surprising. These tourist-friendly locations are just a short flight from the UK, so you can be sunning yourself in no time at all if you choose to book a late deal. For something a little more exotic, why not head to all year round destination the Canary Islands, where you’ll find sun-soaked beaches backed by spectacular volcanic scenery? For an island that’s got it all, look no further than Malta. This sunny archipelago has a history stretching back thousands of years – including some truly remarkable Unesco World Heritage Sites – a beautiful capital, Valletta, and some lovely places to take a dip in the Med. Similarly historic (think Greek ruins on windswept hillsides), but with a much bigger choice of beaches, Cyprus certainly gives Malta a run for its money. Savvy holidaymakers can bag some enticing bargains for both destinations that won’t break the bank. . However, the most important thing is not necessarily where to go (all of these destinations have plenty of plus points), but to actually book something up! A recent study revealed that 50% of office workers worry about taking annual leave because of the pressures of their job, so don’t become a statistic – everyone needs to take a break once in a while.